On 4 September 2018, the European Parliament Intergroup on Freedom of Religion or Belief and Religious Tolerance presented its annual Report on Freedom of Religion or Belief 2017. The report mentions 34 countries of which 19 significantly restrict the right of people to live in accordance with their faith. It also calls for a strengthening of the mandate of the EU Special Envoy for the Promotion of Freedom of Religion or Belief outside the European Union. The European Parliament Intergroup on Freedom of Religion or Belief and Religious Tolerance (FoRB & RT) is a group of like-minded Members of European Parliament (MEPs) dedicated to ensure that the European Union (EU), in its external actions, promotes and protects the right to freedom of religion or belief as well as religious and belief tolerance. They state in the introduction “Through this report, we hope to highlight the practical ways in which the EU can use its influence in the wider world, to promote and protect freedom of thought, conscience, religion or belief for all people. In addition, we have included signs of hope, in an attempt to appreciate glimmers of light in otherwise dark places. of freedom of religion or belief outside the EU since his nomination. considering such a position too. Moreover, it is now ever more widely acknowledged that not only is the role of religion or belief in third countries so important that it cannot be ignored in the EU’s external relations, but also that religious and belief organisations and especially their leaders can play a constructive role in the field of peacebuilding, especially through reconciliation, humanitarian assistance, good governance and development policies in general. • That the SR on HR and the SE on FoRB discuss their working programmes in such a way that they strengthen one another. And that the SE on FoRB has the full mandate and capacity to do whatever is necessary for the implementation of the EU Guidelines. The EU Guidelines were adopted five years ago, and a revision is neither foreseen nor necessary. The intergroup does see, however, the number of training activities increasing and agrees with the broad approach taken during these training activities, for example, focus on religious and non-religious beliefs, focus on the positive role religious and belief actors can play in realising objectives of foreign and development policies as well as meeting the challenges posed by intolerance and violence based on religion or belief. objectives, such as peace-keeping and reconciliation, good governance, respect for the environment and humanitarian relief. • Whereas the intergroup welcomes the initiative taken to adopt during this mandate a report on FoRB, it should not become a fig leaf for not acting through other on-going parliamentary activities, such as in the context of the Parliament’s delegations with third countries. Once the plenary has adopted the Resolution based on the report, it should also find a way of checking its implementation by all EU institutions and Member States. • Instead of formulating only general recommendations on the protection of FoRB, Parliament should try to be more targeted when it comes to the relations with individual third countries. Many of the country specific recommendations included in the report are meant to stimulate EU-delegations and Member State embassies to become active. 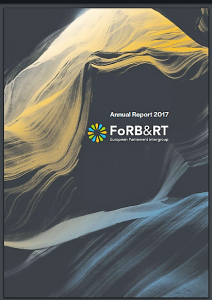 In its contacts with the EEAS, the Commission, representatives from third countries and with civil society, Parliament should highlight the need for country-related FoRB literacy.